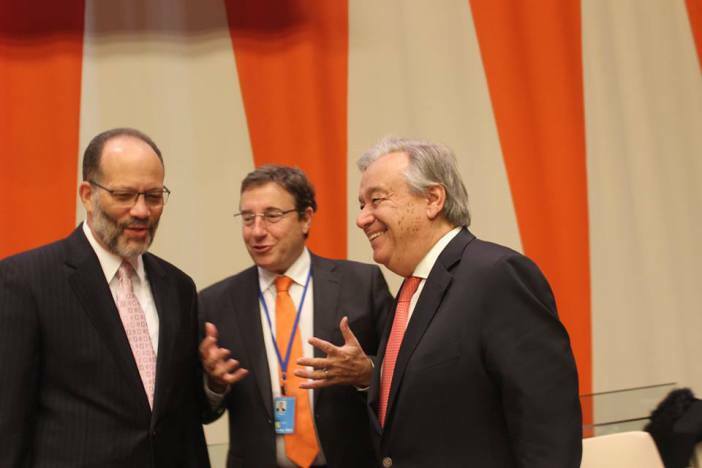 Widespread concern for CARICOM countries severely affected by Hurricanes Irma and Maria was evident at the opening of the CARICOM-UN High Level Pledging Conference, at the United Nations Headquarters in New York on Tuesday, 21 November. Addressing the large gathering which included the UN Secretary-General António Guterres, International Development Partners, and representatives of governments, the private sector and the United Nations System, CARICOM Secretary-General Ambassador Irwin LaRocque said their presence demonstrated strong interest and deep concern about the situation in the Community. The CARICOM Secretary-General said that the magnitude of reconstruction will require significant levels of financing, with the loss and damage to the Region estimated at more than US$5 billion. “Our governments need the co-operation of international development partners, the private sector, and civil society. All working together will provide the resources and the expertise needed to achieve our goal of building better to combat the new normal,” Ambassador LaRocque said. “The task of rebuilding is beyond us. We cannot do it alone. We need your help,” he said, adding that he anticipated that the same collaboration and generosity which marked the relief efforts will continue as the countries go forward to build a resilient Caribbean.